CWC Recruitment 2019: Central Warehousing Corporation (CWC) has released an official notification regarding the recruitment of candidates for the various posts. The candidates who are interested in applying for the various posts in the CWC can check the official notification for more details and then apply online for the same. The candidates are advised to check their eligibility in the official notification before filling application. Here are the details regarding the CWC Recruitment 2019. CTET 2019 application process started on February 5th and the last date to apply for the same is March 5th 12th. 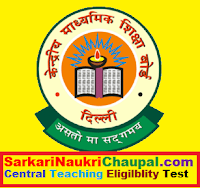 Central Teachers Eligibility Test (CTET) 2019 application process has been ongoing since February 5th and there are just three more days left for candidates to apply for CTET 2019. According to the official notification, the last day to apply for CTET 2019 is March 5th 12th, 2019. It should be noted that the though application last date is March 5th, candidates can pay the application fees until 3.30 pm of March 8th. CBSE conducts CTET exam to certify eligibility of candidates to teach at CBSE affiliated schools. CTET 2019 exam is scheduled to be conducted on July 7th, 2019. The Paper I will be conducted from 9.30 am to 12.00 noon and the Paper II is scheduled from 2.00 pm to 4.30 pm. CTET Paper I is for candidates who seek eligibility to teach from Class I to Class V and Paper II is for those who desire eligibility to teach from Class VI to VIII. Candidates have an option to apply for either one of the papers or both the papers. Log on to CTET official website - www.ctet.nic.in. The Uttar Pradesh Public Service Commission (UPPSC) has declared the final results of the PCS-2016 examination on Friday. Candidates can visit the official website of UPPSC to check the result. The examination was held for filling up 633 posts. Jaijeet Kaur Hora of Kanpur has managed to secure the first position in the examination. On the other hand, Vinod Kumar Pandey of Pratapgarh has held second place followed by Navdeep Shukla, Prakhar Uttam, and Satish Chandra Tripathi have managed to bag third, fourth and fifth position respectively. 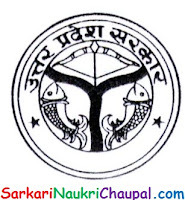 Uttar Pradesh Secondary Education Service Selection Board (UPSESSB) has released the admit card for UP Trained Graduate Teacher (TGT) exam which will be conducted in March 2019. The examination has been scheduled on March 8 and March 9, 2019. The facility to download admit card will be available till March 9, 2019. Candidates who have applied for the exam can download their admit cards form the official UPSESSB website (www.upsessb.org) or the NIC website (www.pariksha.up.nic.in).